BANGKOK: A Japanese woman aged 22 was arrested for allegedly trying to smuggle 10 baby otters out of the country. She claimed she did so out of sympathy with the animals. Don Muang Police questioned Kaede Yamaguchi yesterday (Oct 31) after she had been arrested with the animals in her suitcase in the departure terminal of Don Mueang airport at about 10:15pm on Sunday (Oct 29). The arrest followed her request at an AirAsia X check-in counter to load the black suitcase aboard flight XJ600 destined for Narita. 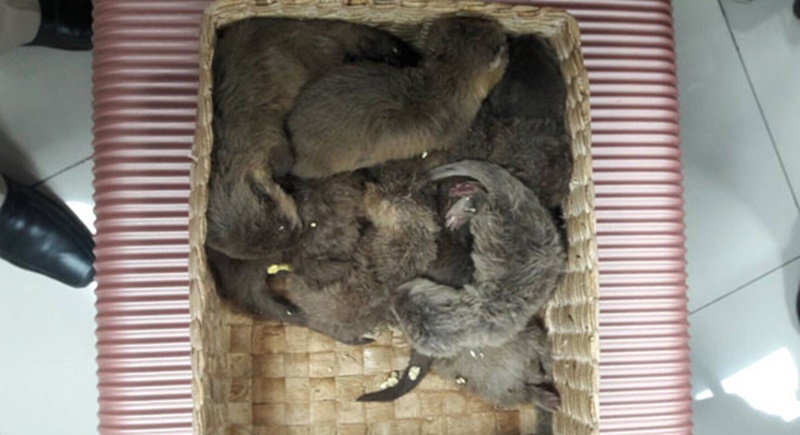 Wildlife officials at the airport found the 10 otters in a basket hidden in the suitcase. Capt Kiatiphum Papinwat, deputy inspector of the Don Muang Police Station, said the Japanese woman was a fourth-year university student in Japan. She arrived in Thailand last Friday (Oct 27). The officer quoted her as saying she sympathised with the baby otters that a vendor placed for sale at the Chatuchak market so she bought 10 of them at B1,000 each. She said she intended to raise them in Japan and was unaware it was illegal. She was charged with unauthorised possession of protected wildlife.